We had been crazy busy preparing for the Himalayan season in the past weeks, taking care of the smallest details for the 20+ tours we will have during the summer. 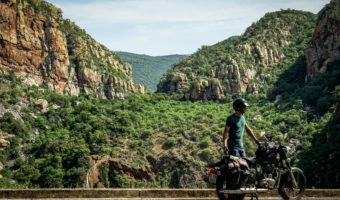 As it was getting increasingly hot to stay in New Delhi (going up to 46 ºC at times), we decided to go on a short motorcycle tour by ourselves for a quick refresh and refocus. The entire team packed-up their bags and off we went to the state of Himachal Pradesh at the heart of the Himalayas! After taking a 16 hours-long night bus ride (which was surprisingly comfortable), we arrived to Naggar – our new home for the weekend. 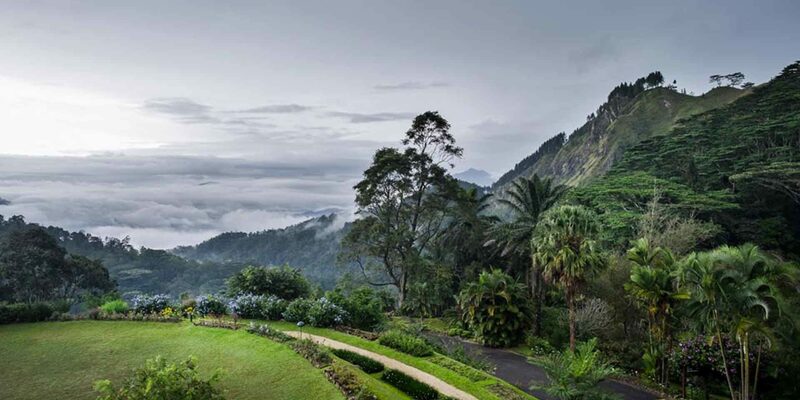 It’s a small settlement in the magnificent Kullu Valley and only 22 kilometres from Manali. 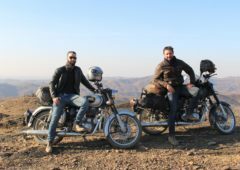 We had been starting our Himalayan motorcycle tours from Manali in the past, but we decide to switch to Naggar for a much more relaxed experienced, away from the touristic hustle that Manali had become. Straight after getting of the bus, we were met by Pascal, our local tour leader, who took us to a beautifully situated hotel, right next to the 500 years-old Naggar Castle – couldn’t ask for anything better. 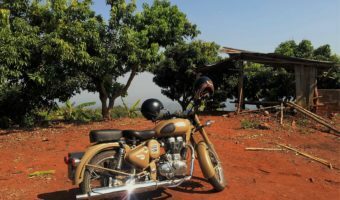 Not waisting any time, we jumped on our Royal Enfield bullets and went for a ride in the mountains! 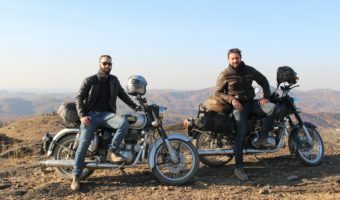 Riding a motorcycle around the Himalayas is really something special: climbing beautiful mountain roads, breathing in the fresh air, and stopping to enjoy the incredible scenery of snow-white peaks and never ending valleys. Not even the small rain couldn’t ruin our experience – we came back to the hotel all pumped-up and looking forward to the next day of riding, going to the infamous Rohtang pass at 4000m! There were seventeen of us sitting at a huge table at the hotel, discussing the best options to raid the Rohtang pass. From the looks at the weather forecast, we knew there was a high chance of rain in the afternoon, which would definitely ruin our ride. Although getting at 6am was not something we were initially excited about, it was ultimately the right decision! So there we were, getting up at 6 in the morning, having a quick breakfast and leaving for the mountain pass. The Rohtang pass has many legends about it. 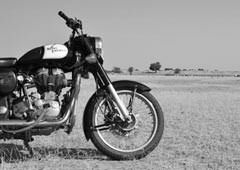 In the past, it used to be one of the toughest passes in the Himalayas – there were no asphalt roads, so the riders had to deal with rocky roads and a great amount of mud. 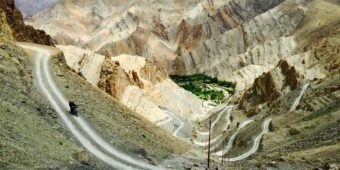 Even the most experienced bikers faced problems with it on their way to Leh and the Ladakh region. Some would go even further, arguing that Rohtang pass was more difficult to cross than Khardung La – the highest motorable road in the world at 5600m! Luckily, the situation has changed for the better in the past years: almost the entire way is now covered by asphalt, which makes the ride as “smooth as cutting trough butter”, as Pascal put it. And so it was. It was a fun ride to the Rohtang pass, although we didn’t make it to the top in the end. After stopping for a few times to have some chai, i.e. traditional tea drink with milk and loads of sugar, we reached the base camp at around 9 am. 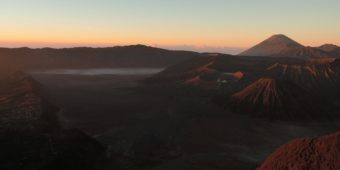 Our plans were changed by a rainfall: we didn’t prepare well enough for such weather conditions and we knew it will get only worse once we reach the top. Riding in the rain at around 0 ºC is not very pleasant, and it can be dangerous too. We agreed it’s not worth the risk and it’s better to finish the ride on a high. We turned our bikes only 15km away from the top and headed back to Manali and then Naggar! Right next to Manali we stopped at a top-notch restaurant, ran by a French couple. I can confidently say that the seared trout was one of the most delicious meals I’ve ever had! And the deserts – truly mouth-watering. After relaxing at the restaurant for a couple of hours, enjoying great food, beautiful environment and the surrounding Himalayas, we then left for Naggar. On our way back, there was another surprise: we stopped by at a small store where the locals were making authentic molded cheese. It was received particularly well by our French team members, who bought 3 kilograms of it in total. We could easily have stayed in Naggar forever, but who would take care of your motorcycle tours then? So, on the third day of our trip it was time to head back to sizzling Delhi. We enjoyed the afternoon relaxing at a beautiful mountain lodge of Pascal, chatting with each other, tasting wonderful food and recuperating our energy. Then, another night-bus ride, and… we’re back! It was a great team retreat, full of wonderful memories. 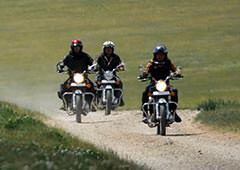 If you’re going on our Trans-Himalayan motorcycle tour, you will surely enjoy a warm welcome in Naggar, a breath-taking scenery and a terrific ride on a thumping Royal Enfield. 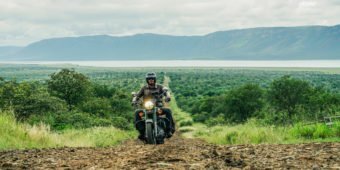 Now that we’ve had a great weekend to recuperate our energy, we’ll do everything we can to provide you with a perfect motorbike experience – rest assure about that.